If you've been waiting for the Call of Duty: Black Ops 3 mod tools alpha test, today is the day. About a month ago, Treyarch announced to the Black Ops 3 community that the alpha test of the game's mod tools was coming soon. Today, the developer announced that it has begun sending out invitations to the participants selected for that closed alpha. 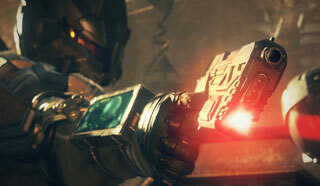 This alpha will be used to "lay the foundation for an Open Beta," Treyarch said in the announcement post. Once it's complete, and the results have been analyzed, the company plans to "kick off the subsequent Open Beta stage of testing in the following months." This is exciting news for modders, as Black Ops 3 will soon become the first Call of Duty game with mod tools since Call of Duty: World at War, which was released almost seven-and-a-half years ago. Important: don't abbreviate Black Ops 3 as Call of Duty 3 when there is already a Call of Duty 3. Gotta agree with Dango above. My first thought when reading the title were: "CoD3? That's ancient, why are they releasing mod tools for it now?" To echo the sentiments above, cod 3 is a different game. OT: Is the game still FUBAR on PC? I had wanted to pick it up since it had a good amount of effort put into the single player and co-op portion, and this makes it more enticing but I don't want to get it if there are still problems. Cool I can finally mod out the part where they make it look like Canadians are incompetent- Oh this is for black ops 3? Nevermind then. I wonder what the extent of the mod tools are. Is it a simple map maker? Can you change textures of the weapons? Or will you be able to replace all the character models with men in hot pink speedos? Oh, Black Ops 3. Well, at least this means it'll likely become a trend for future games. Some stupid html parsing made the Black Ops part disappeared. I blame Kross. Gave it a good solid kick and it appears to be working now. Was it fubar on pc? I got it on sale and it runs perfect, haven't had any issues so far. Also seems like there is a lot more single player content than usual. Yea, there were major issues. It was almost Arkham Knight level problems. I know they gave up fixing AK but not sure about BLOPS. When did you get it in reference to initial release? I only ask because like some random people with AK the game ran fine for whatever reason. I got it last weekend. Although I have doubts about how broken it allegedly was, before this one I got a few cods at launch and didn't really have any issues, there were some but it was really blown out of proportion. Awesome, I'll pick it up sometime then! Thanks for the info. Great! Now the minuscule PC crowd can enjoy mods for 6 months before the next CoD comes out. I started playing it 3 weeks ago and it's been fine for me, i'm unaware of what issues it had but the 8 hours of campaign i played were fine and 9 hours in multiplayer were totally fine too. My main complaint is the audio mix being low in certain areas but that's been a Treyarch staple in every game they've made, also the 65gb of hard drive space required is kind of crazy, by comparison The Witcher 3 which is absolutely gigantic and overflowing with voice acting is 38gb. ...it's not even mentioned in the article.